With Apollo magazine you can find one of the world’s best and most trusted sources for everything related to the world of art, design, photography, and everything else going on in the world of art. Buy a single copy or subscription to Apollo magazine. Whether you are just looking for another magazine that deals with the topic of art or if you want one of the most respected analyses of the many happenings in the art-world, then the magazine is certainly one of the best magazines that you can buy. Additionally, Apollo magazine blends fine art and design with professional criticism and debate regarding, while at the same time bringing you the latest news and profiles of art and artists from across the globe. 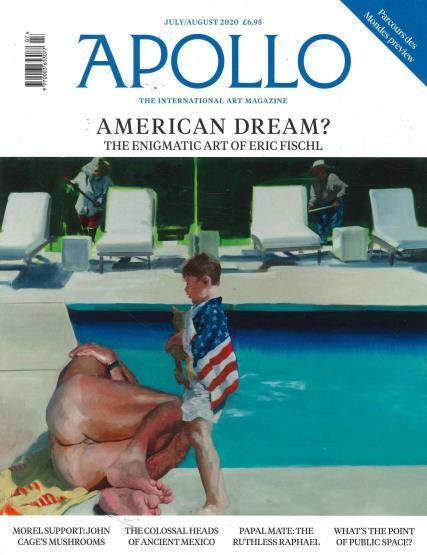 Apollo magazine is considered to be one of the best art magazines that covers everything from contemporary art to pieces from antiquity, while containing the widest editorial diversity than any other art related magazine.